On Saturday afternoon I was trying to scrub the last remnants of pink out of my hair from the morning’s Color Me Rad 5k in anticipation for the One Republic concert that evening. I had heard glowing reviews from friends who had seen them in the past, so I was really excited to see what they had in store for Musikfest’s 30th Anniversary opening weekend. I was also really excited that my long-distance boyfriend was able to join me so I could show him the wonderful time of year that is Musikfest, since he had never been before. On our way over to the show we stopped at one of my new favorite food vendors, Festival Island Noodles, for some veggie stir fry goodness. The opening acts for One Republic, especially Mayer Hawthorne, got the crowd grooving and fired up. A couple of girls in front of me were chair dancing and loving every minute of it. The sun went down and so did a big white curtain covering the stage. 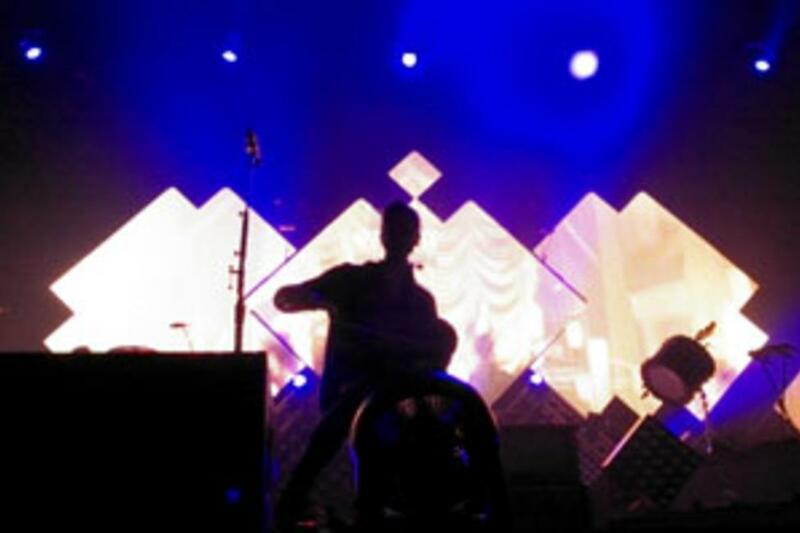 One Republic’s opening song ‘Light it Up’ was played behind the giant white curtain, which featured the silhouettes of the band members, and when it fell a wave of intense screams erupted from the crowd. One Republic’s performance was unforgettable. The theatrics and showmanship throughout their set captivated fans and even brought them to tears. The giant diamond-shaped screens behind the band had unique visuals playing during each song, and transitions between songs. Definitely the most interesting one was the video of E.T.’s flying bicycle scene that was played before an incredibly heartfelt rendition of ‘Apologize’ that, I’m sure, caused just about every girl in the audience to lose their voices from singing and screaming. Fans were gifted with an amazing set list – ‘Secrets,’ ‘Stop and Stare,’ ‘Counting Stars,’ and ‘Good Life,’ all were performed with passion. I think it would be amazing if Musikfest started creating a live compilation album from the performances during the week.